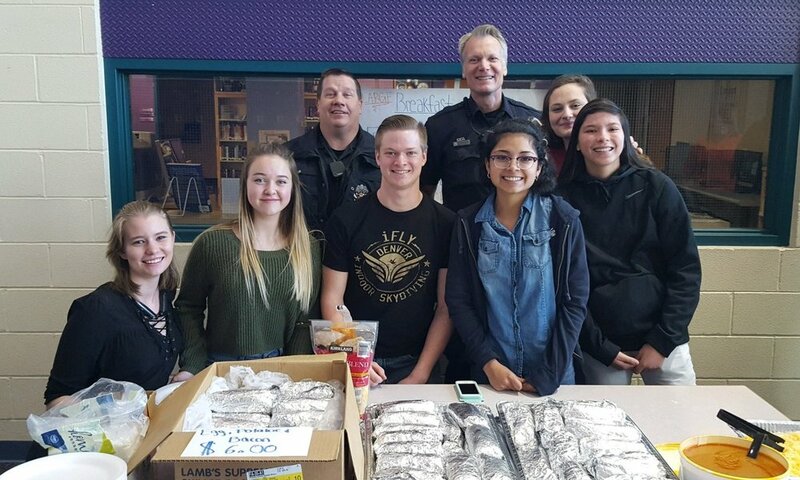 A Valentine’s Day shout-out to the Criminal Justice students at Warren Tech Arvada who sold burritos this morning as a fundraiser for the Northey Foundation of the Arvada Police Department. The kids raised close to $400 to help support officers and their families in times of need. Great job we appreciate all your hard work! Arvada, CO February 5, 2018 - The Northey Foundation and Arvada Police today announce the establishment of the Jim Glasmann Memorial Scholarship. Administered in conjunction with the Jeffco Schools Foundation, the scholarship will honor Officer Glasmann’s memory by helping a deserving student reach their higher education goals. Glasmann, affectionately named “O.G.” by students, worked at the Arvada Police Department for 39 years, from June 1977 to January 2016. The majority of his career was spent as a School Resource Officer at both North Arvada Middle School and Pomona High School. Glasmann was passionate about his students and quick to offer a friendly shoulder or a piece of gum. When he retired in January 2016, more than 2,500 students wrote testimonies on the Arvada Police Facebook page to congratulate him and thank him for his impact on their lives. When he passed away suddenly in February 2017, the sadness was felt throughout Arvada and thousands left memorial messages for him, and hundreds more attended his memorial service. Those interested in donating to the scholarship fund may do so at http://c-fund.us/e0i. Scholarship awards may be used by students toward tuition, fees, and/or required books and supplies, or other qualified educational expenses. The Northey Foundation awards scholarships to Arvada high school students to help them launch their higher education goals. In the last two years, the Foundation has awarded more than $38,000 to 29 deserving students.